With Greece defaulting tomorrow, my post two weeks ago “Greece: Why is it so important?” seems more eerily prescient than I feared back then. While politicians probably truly believe an amicable solution will be found in the 11th hour, the will to resolve things amicably is evaporating among the electorate everywhere. […] We have a population on both sides willing to walk into a complete disaster. It is now clear that the electorate in Europe was in fact the principal reason for the failure of the Eurogroup to agree on anything. There may have been a lack of leadership, but there was no lack of democracy at work on Saturday. Reports say that the institutions had put forward a proposal with the prospect of debt relief, but the Eurogroup balked, saying there is no way they can get this through their local parliaments. This then allowed Juncker to deflect from the truths of what proposal was actually on the table: the one Greece could accept and is posted by the EU website was in fact not the one presented to Greece, because it was not supported by the Eurogroup. You will notice that the EU website wording is carefully crafted, saying that the published version of the proposal was the one “agreed among the three institutions”. The Eurogroup said they can’t get this through their local parliaments. Having had the democracy card thrown back in their faces, the Greeks gave up any further discussion and decided to go to the polls themselves. The situation is simple: There is no deal possible which the electorates of both sides will support. The parties to the talks had the choice to be either undemocratic and settle on something against the will of someone’s voters back home, or walk into the political, financial, and social disaster that is Grexit. They chose to go where the public is telling them to go. The EU will get into similar dilemmas every now and then, on totally different issues. There is no middle way. Greece will default, an event that will force a myriad of other European rules to be broken, or some institutions or some governments (Greeks, or others) have to go against the will of their own voters to do a deal which they feel they have no “democratic mandate” to sign. Neither Merkel and her peers nor Tsipras were prepared to risk the political back-lash back home to do something un-popular to avert disaster. This is why I called Greece a symptom, not the disease. The disease is that the very existential question which the EU has to ask of itself remains fundamentally un-answered: is the EU (1) supposed to be powerful enough to overrule national parliaments or (2) is it a body of agreements among sovereign states? Answer (1) goes against the democratic instincts of member states, electorates, parliaments, and most media. Britain’s and Greece’s politicians are the only ones who openly admit it, but there is simply no popular support for it at all. The Greek government made that point and got it played back at them: the Eurogroup failed to blink when faced with possible backlash at home. Answer (2) is, however, not foreseen by the treaties. Politicians outside Britain are loath to even discuss such a scenario in principle. But the breakdown of leadership in the face of popular opposition in the Greek discussions shows that the scenario can be very much a part of the reality of Europe. So do we have treaties which by their nature are immutable even by democratic means? Surely that’s a dogmatic absurdity. It didn’t apply to the UK (Scotland), Canada (Quebec), the former Czechoslovakia, Yugoslavia, or even the USSR. When referendums or other more violent means always existed to exit or modify much closer unions in the past, the European dogma was bound to be found out as unsustainable sooner rather than later. The Greek tragedy just happened to be the first real-world case with very serious and humanitarian costs. There’s no point playing a blame game: Greece’s profligacy until 2010, and Europe’s austerity demands thereafter (unworkable in a closed economy) are both to blame. The point is that the European dogma of ever-closer union failed a very small but very significant acid test: On the issue of whether a whole lot of countries are giving up something relatively small (debt relief) for the benefit of a smaller one confronted with unsustainable suffering in part inflicted by Europe itself, the question, if it had been answered in the typical un-democratic EU-ways should have been blindingly obvious. Yet the Eurogroup representatives (and Greeks too) budged in front of democratic demands at home, and chose a turn of events that elevates national democratic processes above the demands of ever closer union. This is interesting to say the least, and should provide ample winds in the sails of David Cameron when someone will find the time to listen to him in Brussels. The EU will get into other situations where doing the ‘right’ thing for the functioning of the Union at the supra-national level would mean to be undemocratic at the national level. As far as voters are concerned, this lacks democratic legitimacy. Voters haven’t been taught to care about European elections: Political parties spend multiples of what they spend on European elections on national elections. It’s no wonder voters identify with their government, not with the EU. Many don’t even know who their MEPs are, and certainly most don’t know what the European Parliament actually does. No matter what Britain and Greece demand for their own cases at hand, the question of which kind of EU Europeans want has clearly been thrown up in the air. 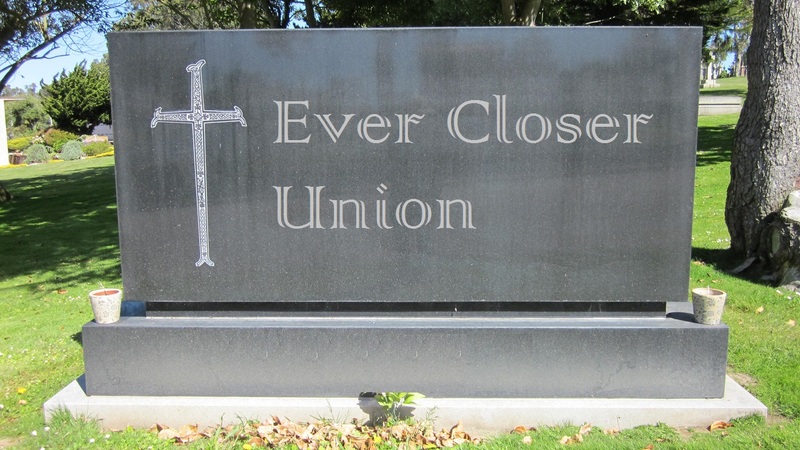 It is not an ever-closer-union. No matter how the Greek saga plays out now, there will be other tests to come. Europe has only treaties, while elsewhere even constitutions are subject to change by democratic forces. It is the irony of ironies that Tsipras and his gang played the democratic legitimacy card and got it thrown back at their faces. The Greek government had a choice to push something through an unwilling parliament which they knew the electorate would support (signing a deal), while the Eurogroup might have well been able to push a deal through their parliaments which they knew their voters wouldn’t support. Intellectually, Greece is right on the insanity of austerity in a closed economy, so it pains me to admit it, but here it is: The moral high-ground of having been closer to their voters than even to their own respective parliaments now rests with the Eurogroup. They have given up their principles, risking ever-closer union, because their electorate won’t support it in the case of Greece. This behavior of the Eurogroup is an interesting precedent to say the very least, one that suddenly lets light through the cracks and opens the door for a much looser union between sovereign states.